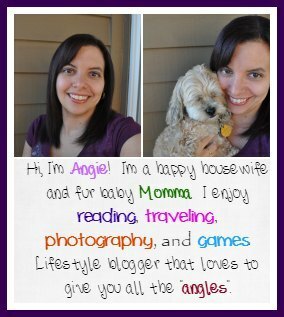 A little back story before I get to telling all about our adventures with Kia Sedona. I have never owned a new car. Ever. I’ve owned two cars in my life, my first was a Ford Tempo 1988 that I bought in 1998. I had that car for several years with many issues before it was finally ready for the car graveyard in 2010 where we bought a 2002 Pontiac Grand Prix in 2010. The Pontiac is what we drive now and it’s had its fair share of issues in the time we have owned it as well. I have many fears that it’s just going to die on me somewhere and I’ll be alone, which leads me not really wanting to drive it much by myself. So getting to test out brand new cars with all these bell and whistles is super exciting to me and makes me feel a bit more like I am helping out the household even if we can only keep the cars for a week. I’m excited to start out this journey of sharing our car adventures with you all and hope you enjoy it as well! Jason and I were lucky enough that this pretty 2016 Kia Sedona SXL landed in our laps the week he had an actual week-long vacation before he started his new job. I wasn’t sure honestly how I was going to like a minivan, as it was much longer than I am used to and just way bigger overall. With it just being Jason and I and no real out-of-town vacation plans, what could we do with a minivan? Then we got in it and drove it and I fell in love. It really doesn’t feel like a minivan at all. It is roomy, yet feels like a regular car inside. Does that make sense? I never imagined how easy it was to actually drive. 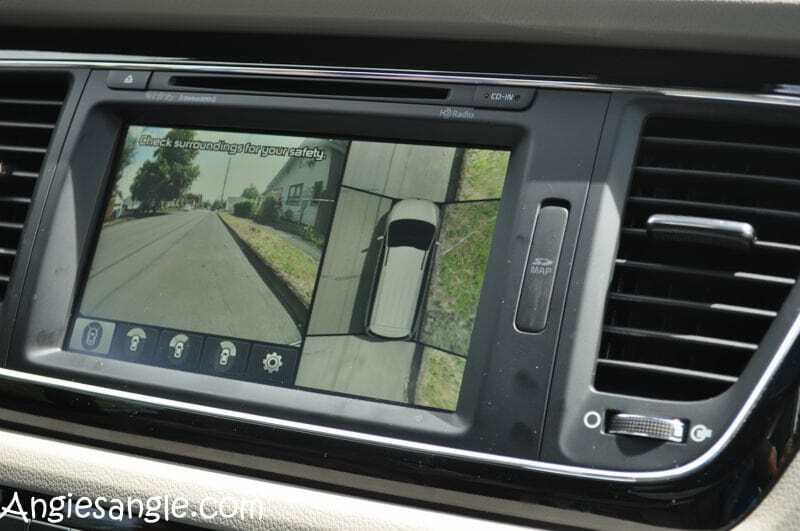 With the standard backup camera and the added equipment of surround view monitor, you can see all around you even though the Kia Sedona is slightly longer and bigger than one is used to. We used the view camera with the surround view to look if we were completely in our parking spaces and it was so helpful! 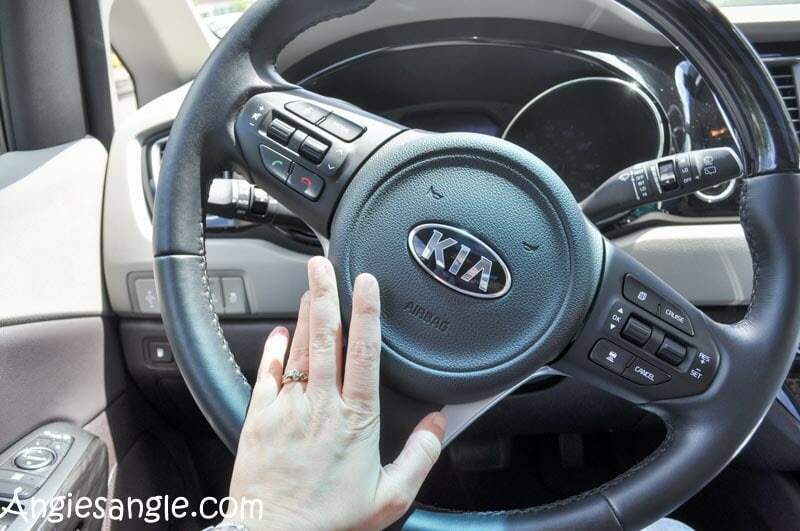 The base price of this 2016 Kia Sedona SXL is $39,900 and seriously has a load of standard features that I just couldn’t list them all so I am going to point out some of my personal favorites that again come standard in this 2016 Kia Sedona SXL. That is just a small handful of the features you get as the standard package. The additional features were some of my favorites too which you can get for 2,800 more. Also, there is a rear entertainment system you can get for $1,095 that includes wireless headphones. The first row of back seats are first class lounge seats and boy are they amazing. They have a little foot rest that can be raised much like a recliner in your home. Get out of town with that! 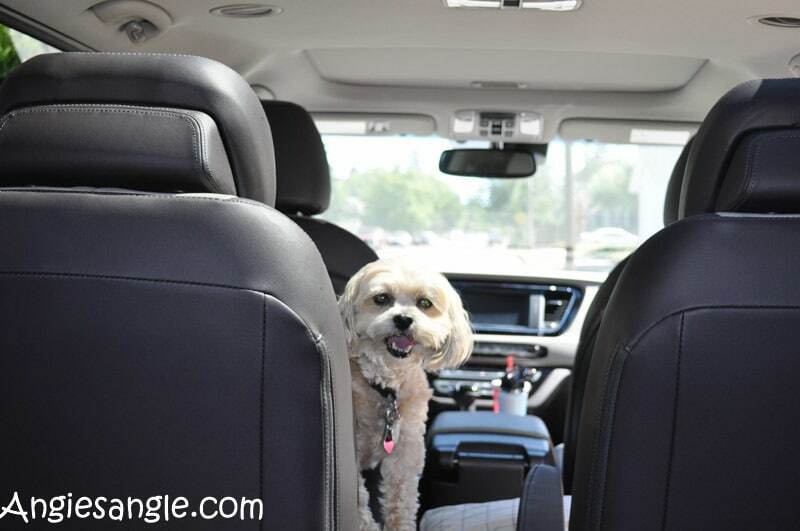 As for our personal adventures this week with the Kia Sedona, we mostly did errands around town. We did go grocery shopping and it was so nice having all that room for our groceries. It made it easy to stock up again for our household. 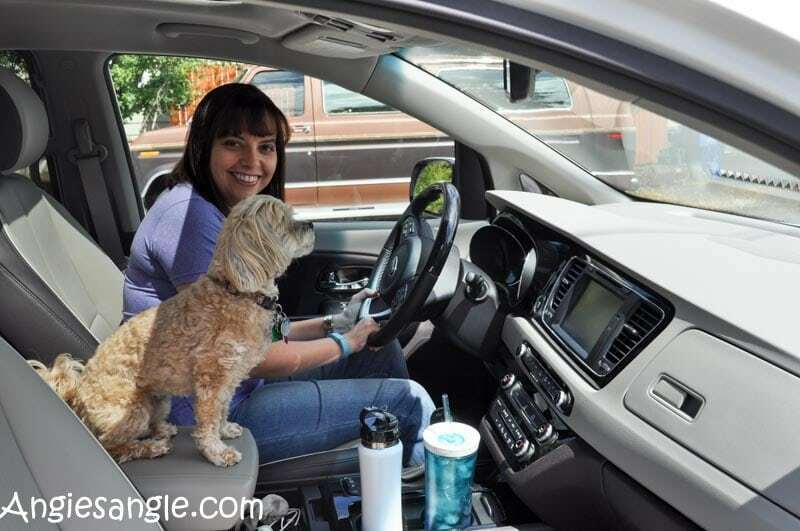 You wouldn’t think that a minivan would have much get up and go, but we were surprised when going onto the freeway how easily it would get up to speed and how easily you could speed if you didn’t set cruise control or pay close attention. The 2016 Kia Sedona SXL normally gets 19 mpg in combined city/hwy while getting 17 mpg city and 22 mpg highway. We ended up averaging about 24 mpg. Can’t beat that for a minivan I don’t think. We finally decided that Sunday we were going to go on a real adventure. 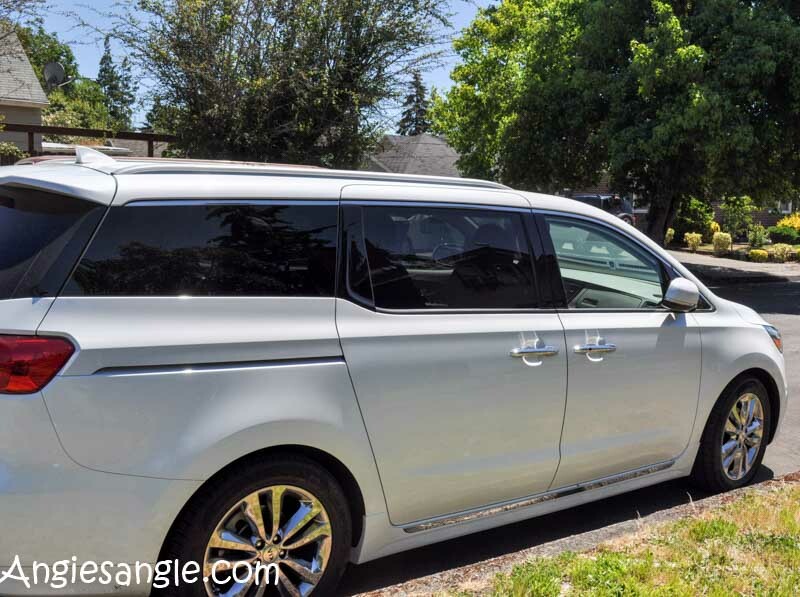 We loaded up the back of the Kia Sedona with our travel gear and got in the car to head out to Long Beach, Washington for the night. 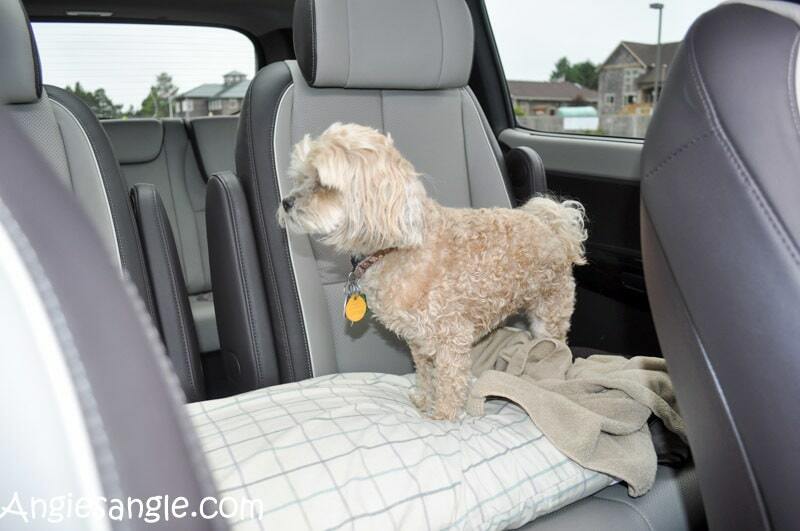 Being in the car for a few hours can be killer on our backs, but having those heated seats sure made the travels more comfortable and the quiet interior of the car made the ride enjoyable. We cruised right along and easily made it up those mountains toward the coast line and back with no issues at all. It was truly a dream to drive. I can imagine how nice this Kia Sedona would have been for our vacation last month. On our way home Monday, Jason moved the first row of back seats all the way up and together as far as they’d go and Roxy had a roomy back seat to go to when she wanted to head back and off Mommy’s lap. Wasn’t a big long jump to make it from the front to the back and she loved that. 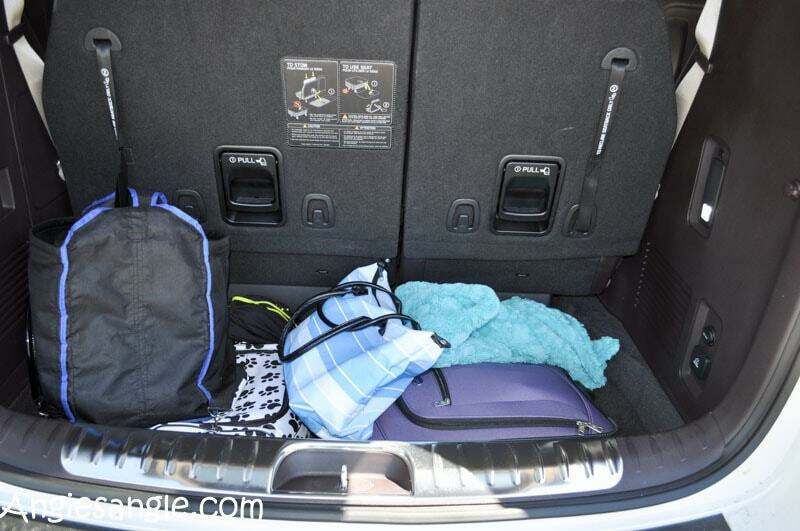 She is sure going to miss loading up into the Kia Sedona. 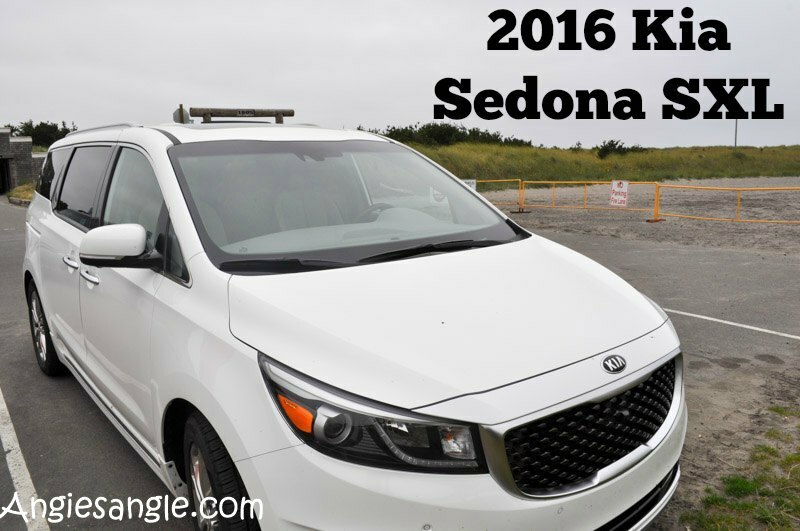 Overall, we enjoyed our adventures with the 2016 Kia Sedona SXL and seriously would consider if it was more then the 2 1/2 of us. We look forward to our other adventures in future cars. 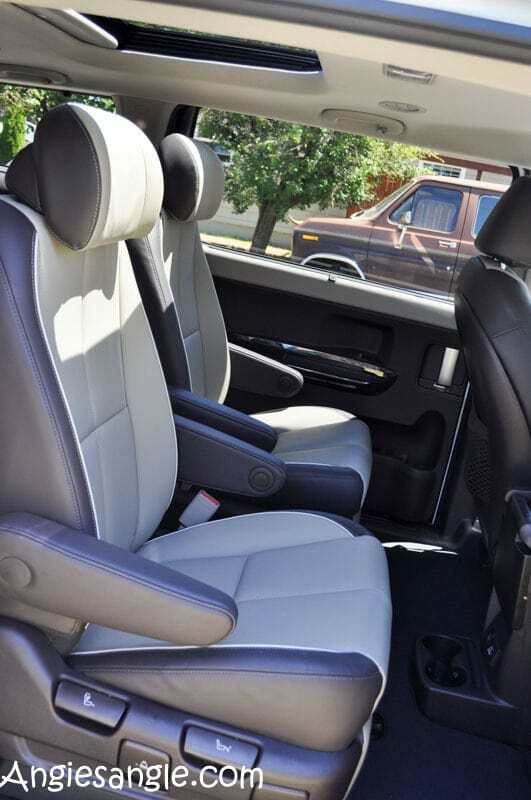 What feature would you most like from the 2016 Kia Sedona SXL? Do you think it would be practical and useful for your family?